2. We have already “played” with the LISTENER in the previous target -> “Create and manage multiple network configuration files”. So we will look at another chart wizard we have to edit the network configuration files, “listener.ora” between them. We will not go into detail on how netmgr is used as it is as simple as NETCA. I particularly noticed that NETCA utility fails to recognize the format of certain entries in the tnsnames.ora file netmgr being more robust in this regard. Instead, the graphic interface NETCA is more modern. I usually use NETCA generally, but for section netmgr use Data Guard. 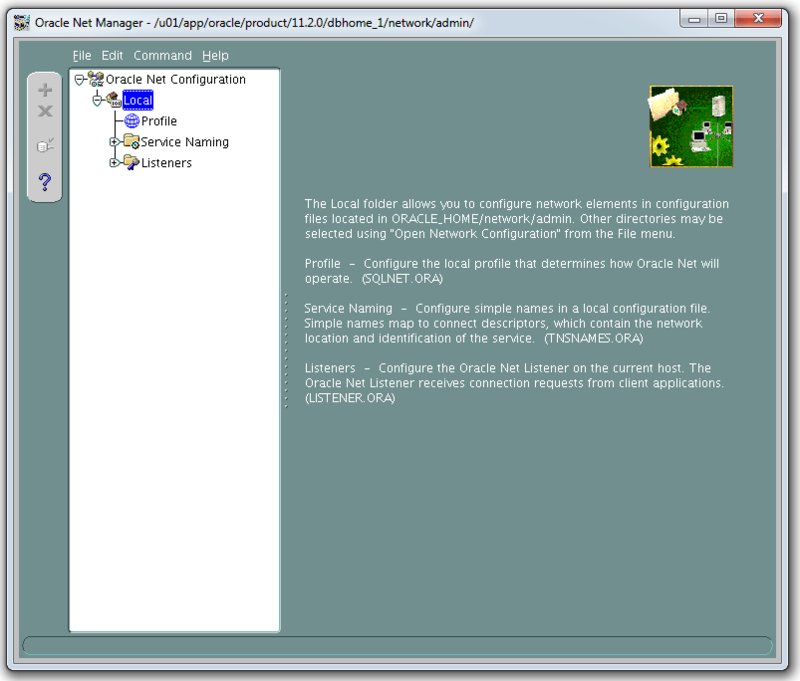 Run the “netmgr” command Oracle user. 4. We still have issues to see about LISTENER, but more on that later in other related goals.